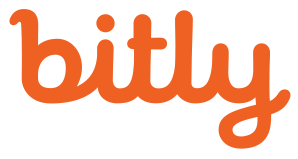 Bitly, the first and leading Link Management Platform that enables businesses to own their customer experience, announced today its integration with Zapier, the Web app automation service. The partnership allows Bitly’s millions of users, including close to three quarters of the Fortune 500, to automate the way their links interact with over 750 SaaS tools, including Google Sheets, Mailchimp, Slack and WordPress. The integration is part of Bitly’s endeavor to furnish brand visibility, optimized customer experience and real-time analytics for every business unit that uses links in their internal or external communications. Zapier unlocks thousands of triggers and conditions for customers who manage their links with Bitly, helping simplify their day-to-day processes with no additional developer work required. More ways to take advantage of the integration are detailed on the Bitly blog. Bitly users can already set up ready-made workflow templates or create their own, and start to become more productive today.